Headstone. 1759. 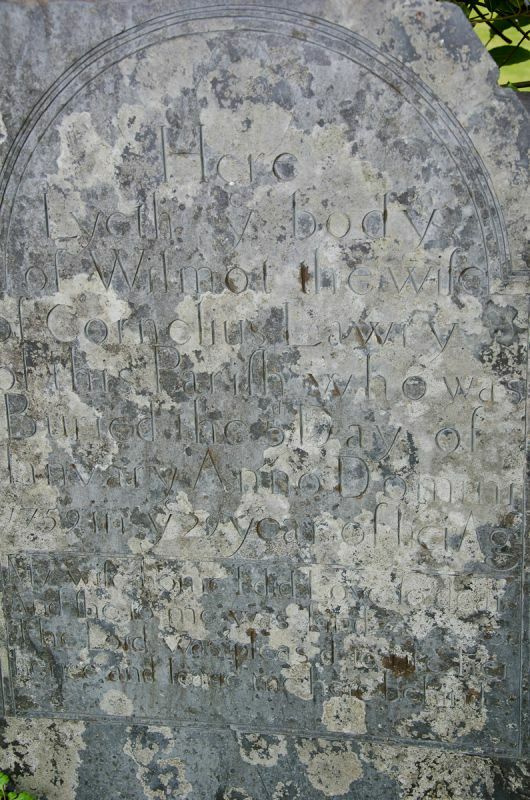 In memory of Wilmot, wife of Cornelius Lawry who died in 1759.